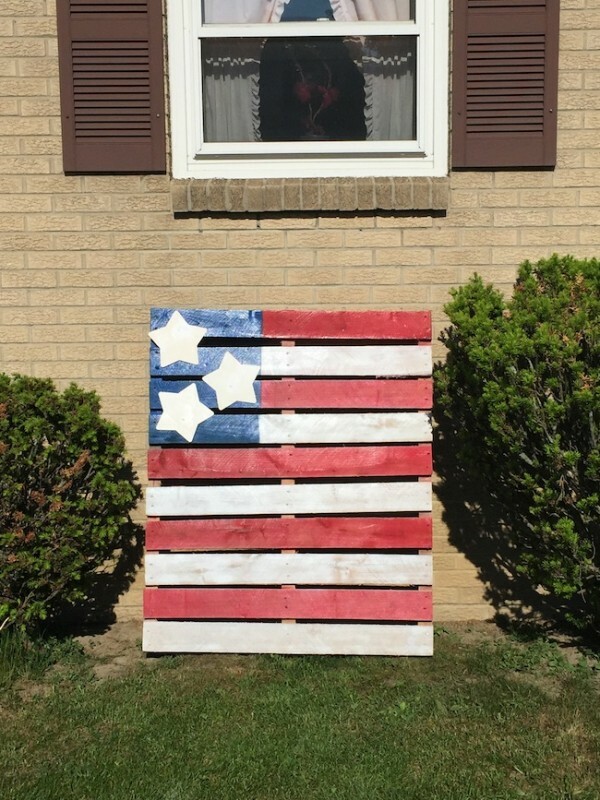 I have been seeing the Pallet Flag on Pinterest for the past couple years and been wanting to make it. Sometimes life moves so fast and things happen and I just couldn’t find the time. Since I am taking care of my 95 year old mom, I don’t get much time to myself and hardly ever get to just go out and have a “me moment!” There is no one to come and watch my mom, so I have to create “me moments” whenever I get the chance. One of the things that helps me to relax, believe it or not, is doing crafts. I figured that making a DIY 4th of July Pallet Flag wouldn’t take me that long. I had some help from my hubby and Snapple Straight Up Tea. 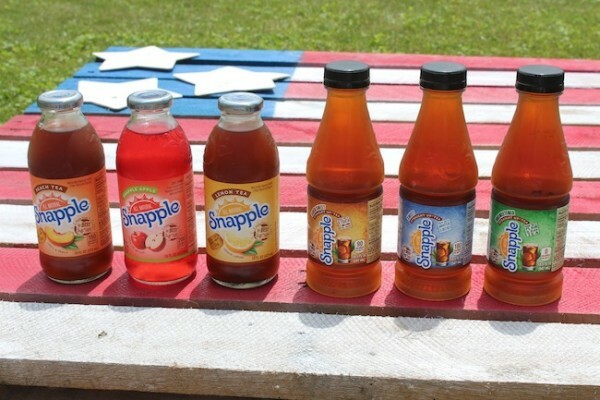 Find out more at Snapple.com. The DIY Pallet Flag is pretty simple. The hardest part was finding a pallet that would be perfect. My mom’s basement is loaded with pallets and this one is the closest I could find. The slats probably should have been facing the long direction, but it doesn’t have to be perfect. You can still tell what it is. I bought some spray paint in red, white and blue. I then taped off a portion where I was going to spray the blue. You can use one big star, spray little stars on or use wooden stars. Three wooden stars is what I used. I spray painted them white and nailed them on once the blue was dry. The white spray paint seemed to get absorbed by the wood, so we went over it twice. I said before that the pallet should have been the other way, but it fits perfectly between the bushes where I wanted to put it. I’m happy with the way it turned out and I have gotten a lot of compliments about it from the neighbors. 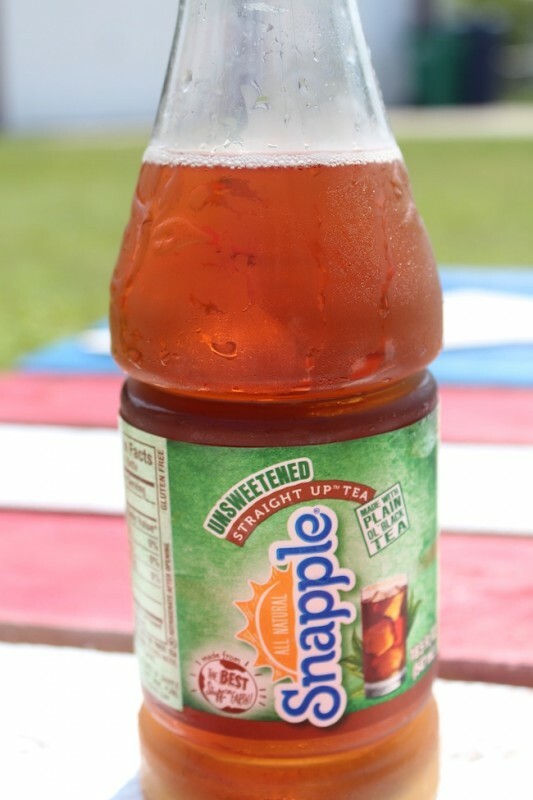 It was a hot day at 80 degrees which is unusual for Buffalo, but luckily I picked up some Snapple Straight Up Tea at Walmart on my last shopping trip to keep me cool and help me relax. 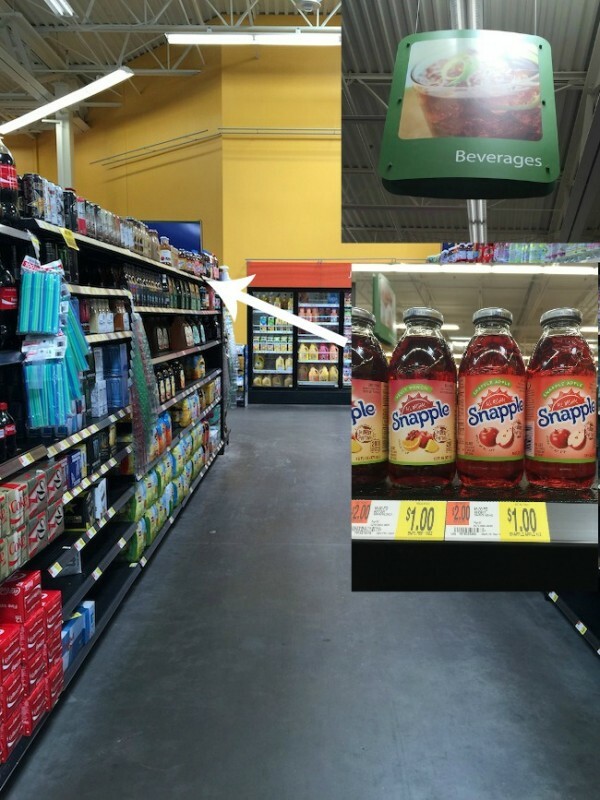 Both the Snapple 18.5 oz Straight Up Tea and premium glass items are on rollback for only $1.00. 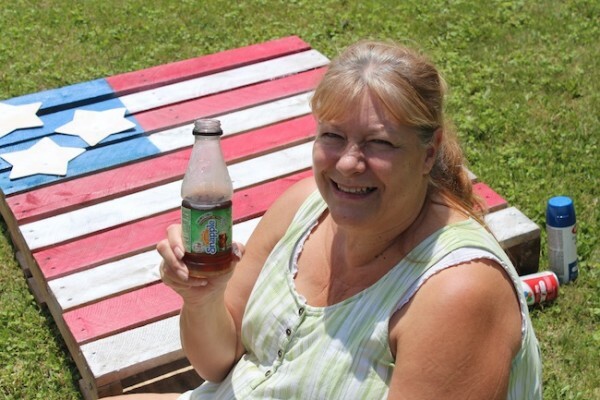 I was looking to try the Lady LiberTEA which contains a blend of delicious black tea with RED raspberry, WHITE peach and BLUEberry flavors, but it’s only available in select stores between May 1st through July 4th and comes in 16oz singles and 6 packs. 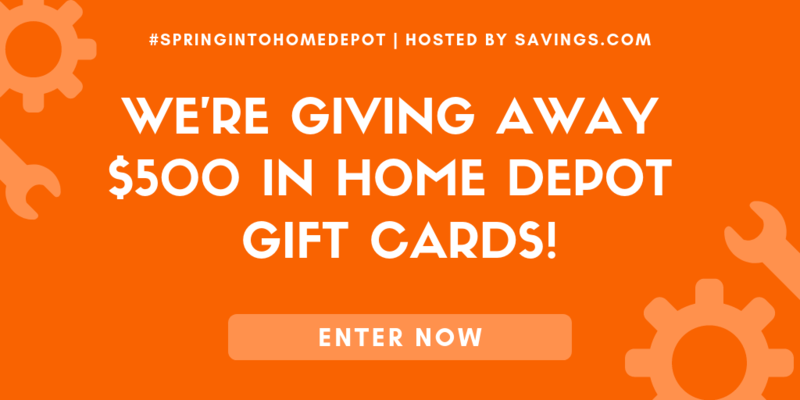 Get it while it lasts! Find out more at SipYourSummer.com. I was able to get my Pallet Flag done and be refreshed without leaving the house in order to continue taking care of my mom. How do you create your “me moment” and relax? Topic: DIY 4th of July Pallet Flag! My “Me Moment” with Snapple!